A marriage is around the corner and you want to be at your best. You have best dress and jewelery but want to capture every look at the ceremony. 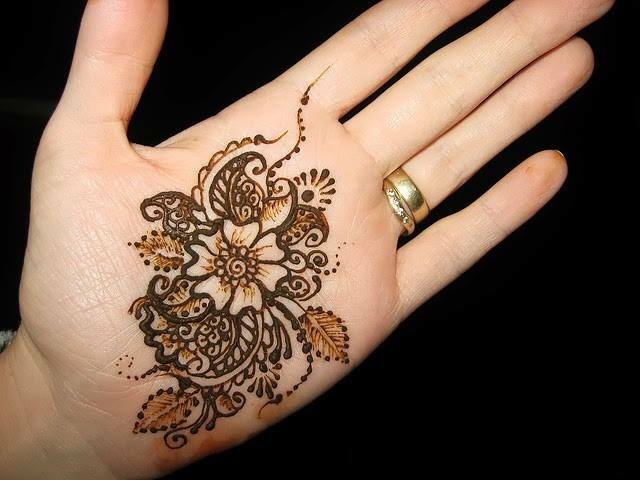 Mehandi is right way to make sure that you look best among the crowd. 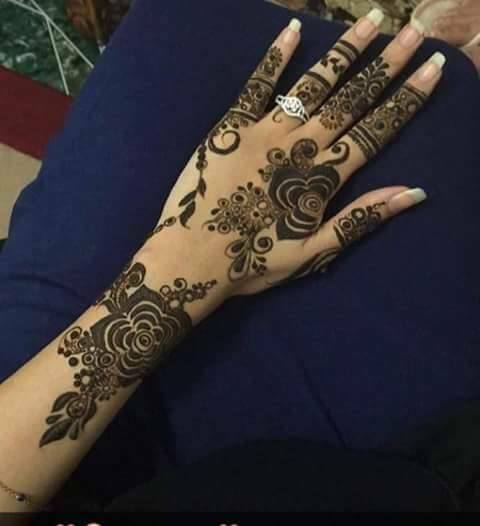 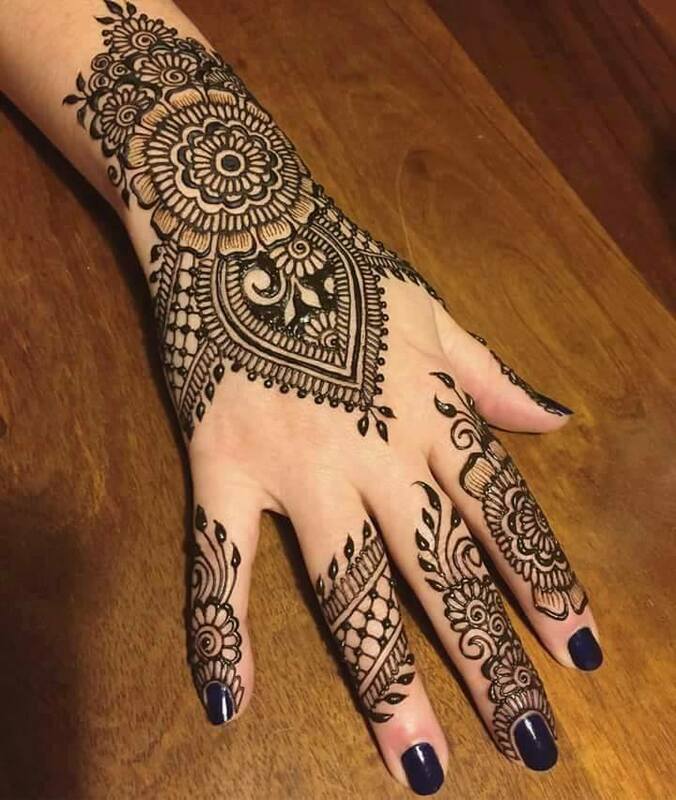 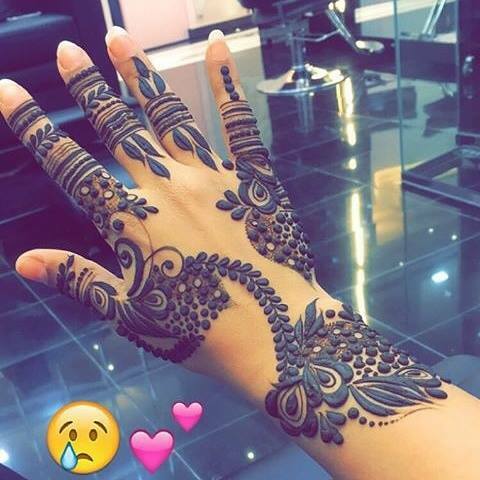 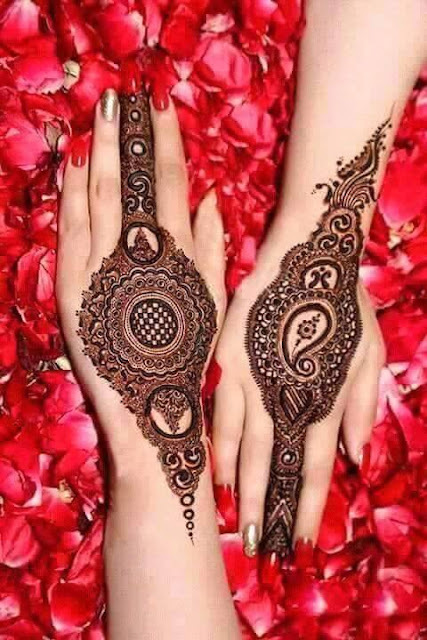 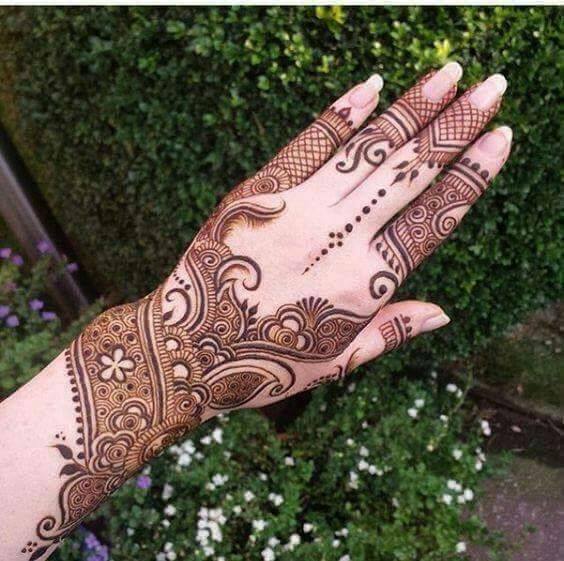 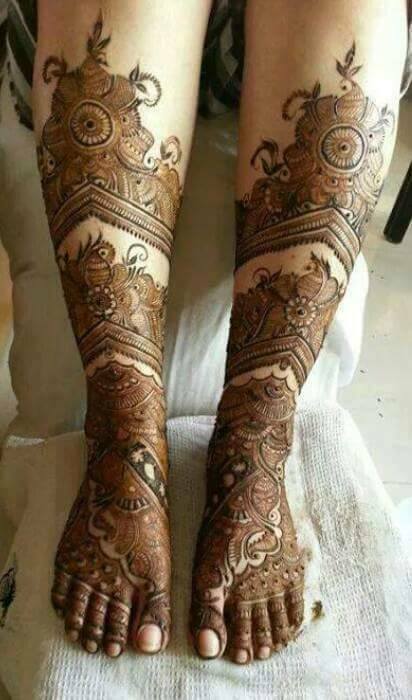 Whether it is a marriage in the family where either your brother, sister or cousin is getting married or one of close friends is getting married, then you can find the best and latest mehndi designs on our site. 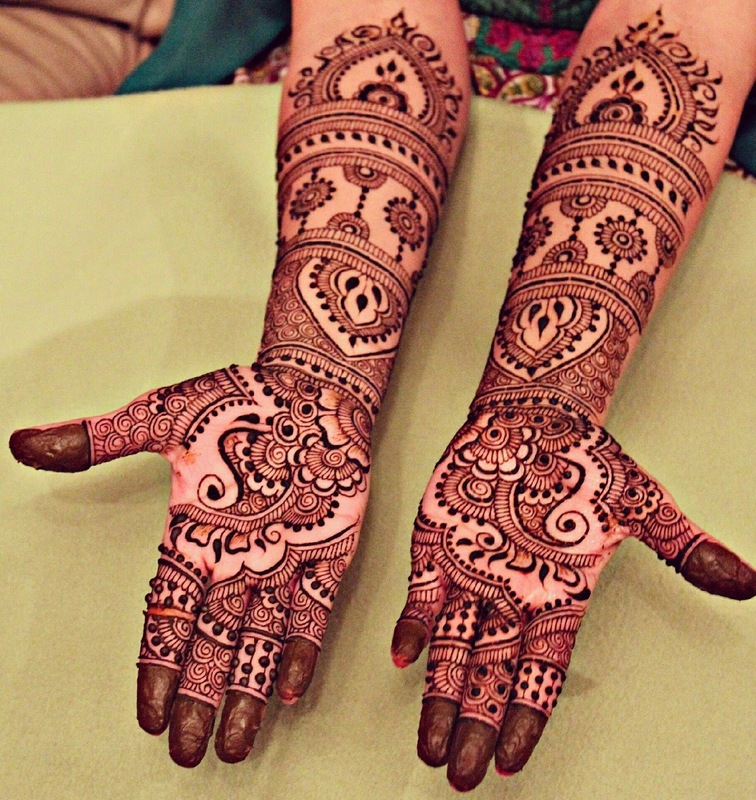 Mehandi is a ritual which is enjoyed by on and all. 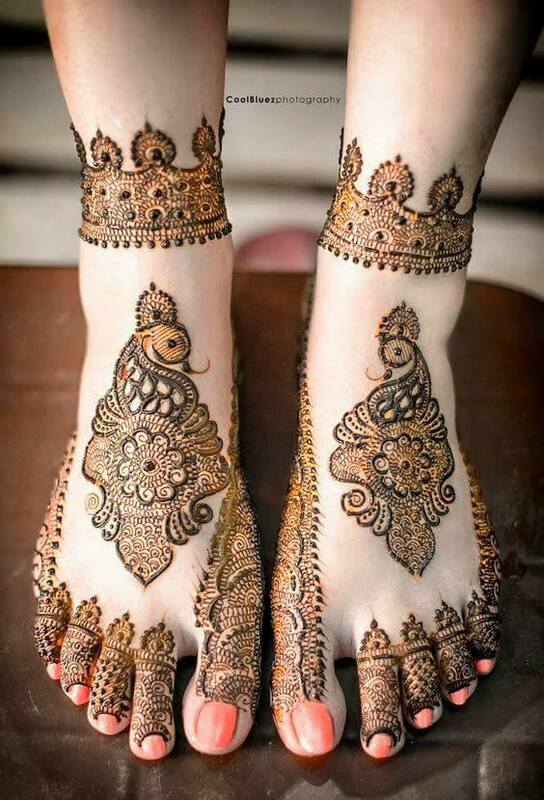 Both the groom and bride are adorned with Mehndi on the ocassion of marriage. 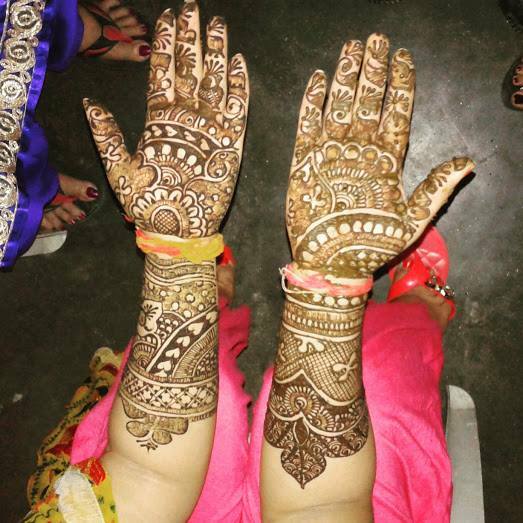 Mehandi has a coolant effect on the person adorning it and helps them to feel fresh by reducing fatigue caused by day to day activites. 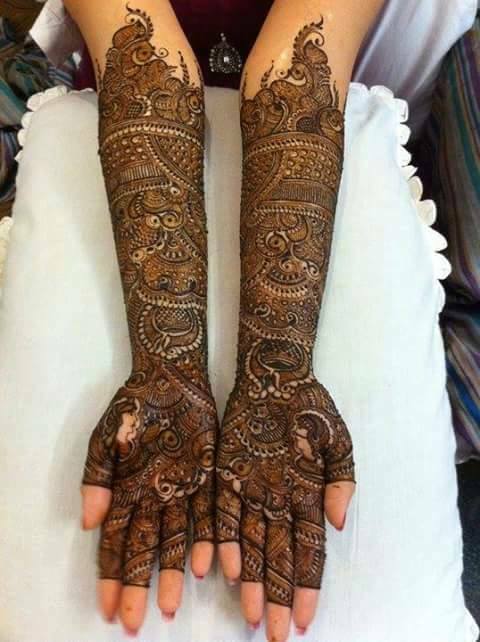 Bridal Mehndi on the hands of bride is considered auspicious in Marriage. 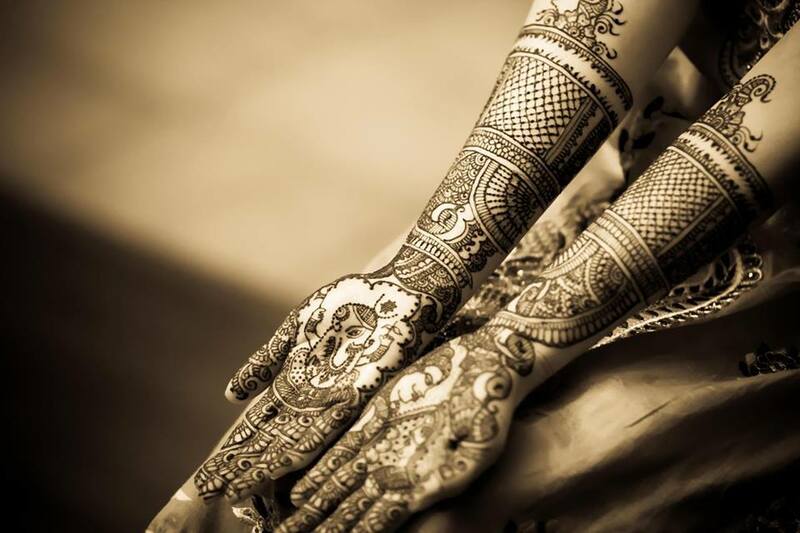 It is referred to as Shagun and is believed to bring good days ahead for the couple. 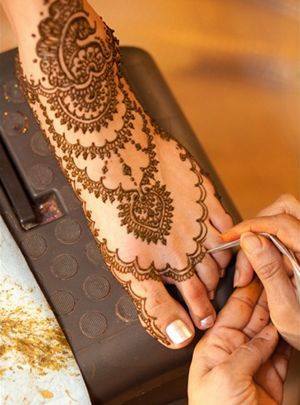 It is also applied by the friends and family members of the bride on the ocassion. 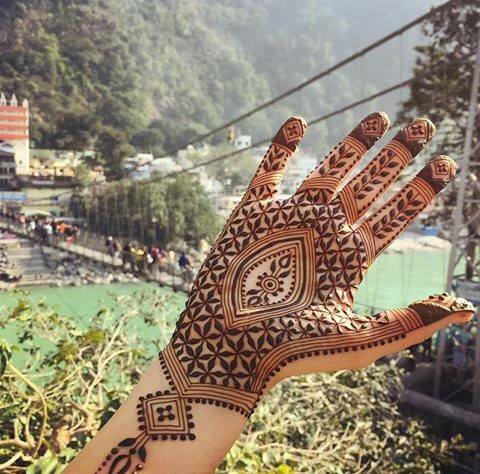 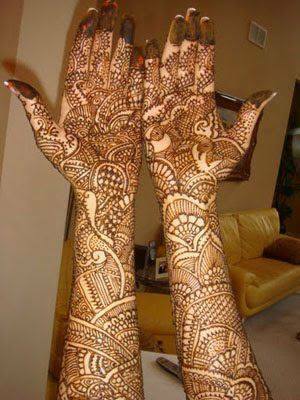 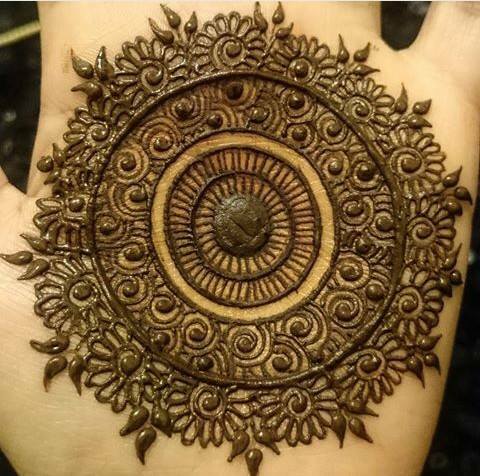 You can apply mehndi designs on palms, hands with arms and feet. 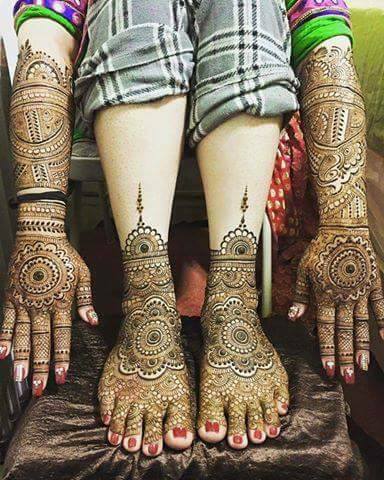 In this post we bring to you various mehndi designs for hands, full hands, legs and both hands and legs. 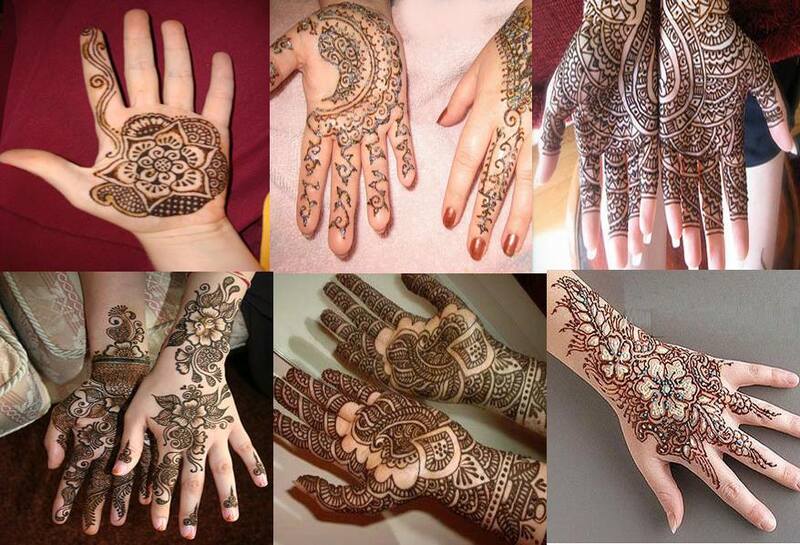 Feel free to share them with your friends and family and use them recreate or bring new mehndi designs to life. Do share you mehndi with us on our facebook page. 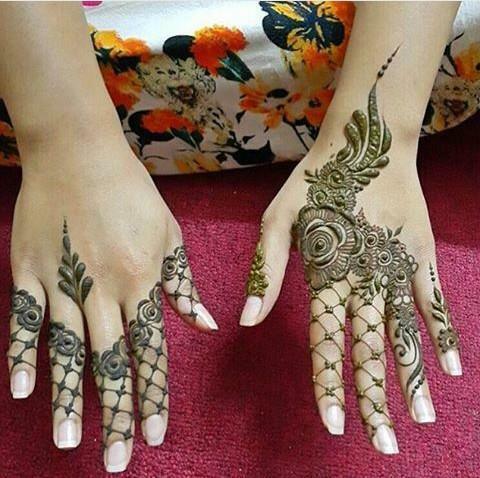 Bridal Designs for Full Hands: Below you will find a list of handpicked bridal mehndi designs for full hands. 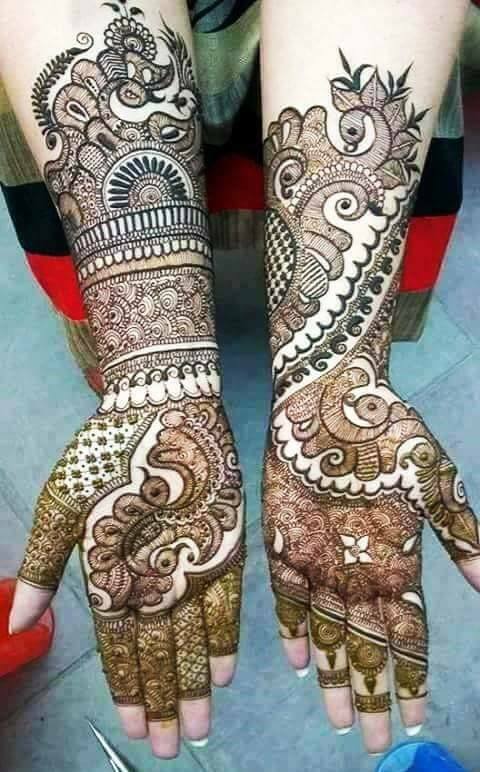 Mehandi is an ancient ceremonial art form wherein the word has been derived from the Sanskrit word mendhikā and is very popularly worn on Fingers, Hands, Arms and Foot during special occasions by both Men and Women. It is quite popular to adorn Mehandi Designs or Henna designs by people of all ages to mark significance of a celebration. 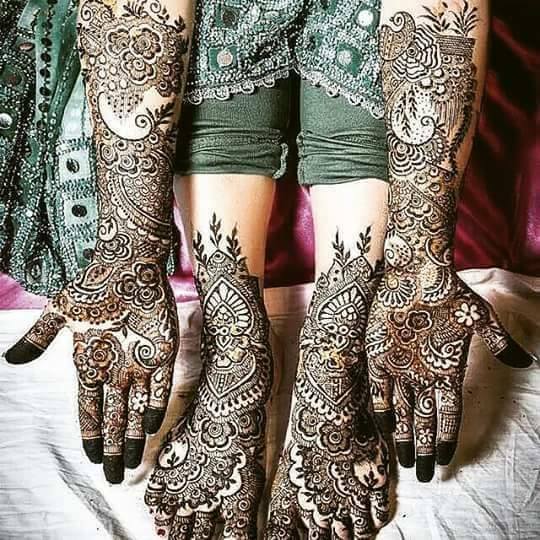 There are several forms of designs which are commonly referred to as Arabic, Punjabi, Indian and Pakistani Mehandi Designs. 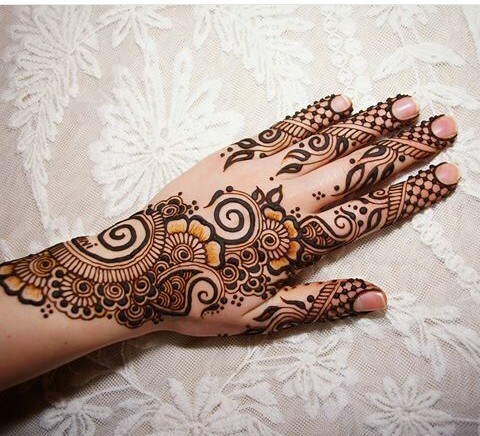 In countries like Pakistan, Bangladesh, Sri Lanka and Arabian Countries this art is commonly referred to as Henna Designs. 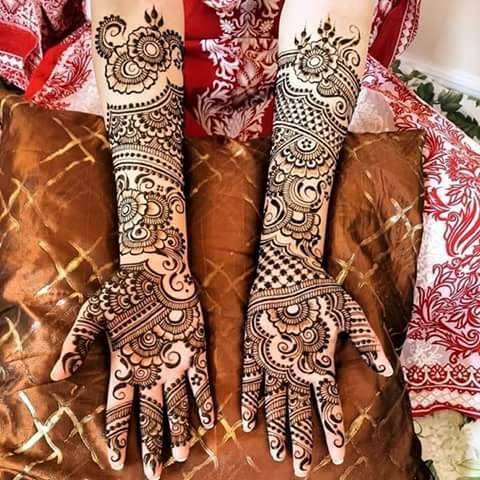 In this article we bring to you 40 Handpicked Mehandi Designs which you can adorn on Festivals Occasions, Weddings, Religious events and Traditional ceremonies. 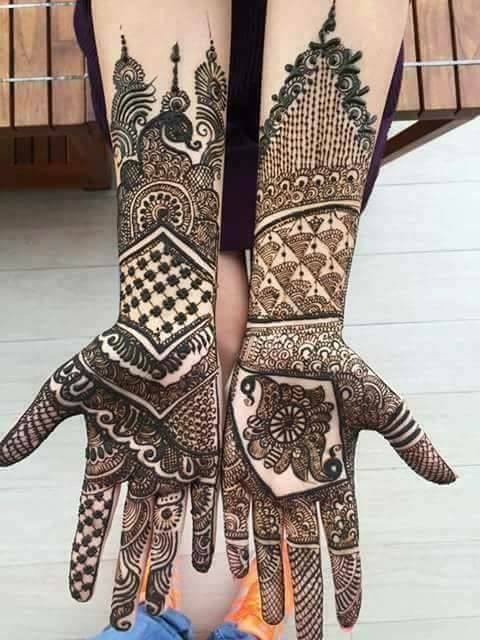 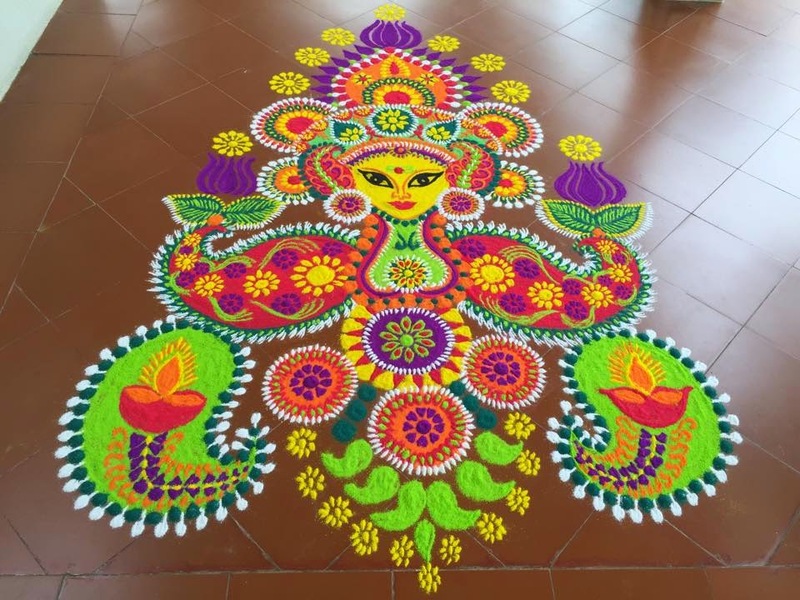 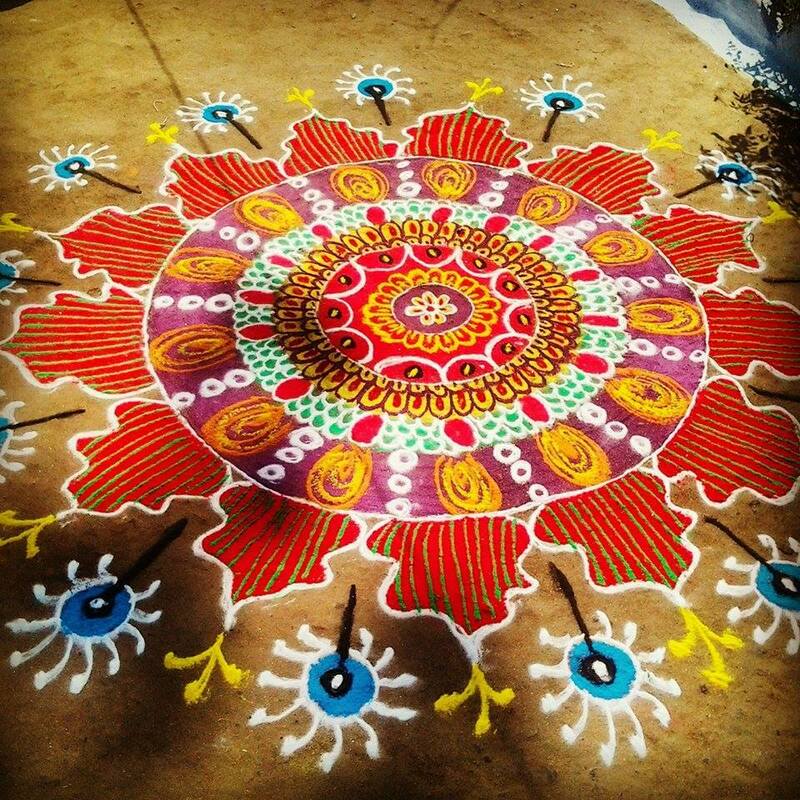 In Hindu festivals these designs can be applied on festivals like Karva Chauth, Vat Purnima, Diwali, Bhai Dooj and Teej. 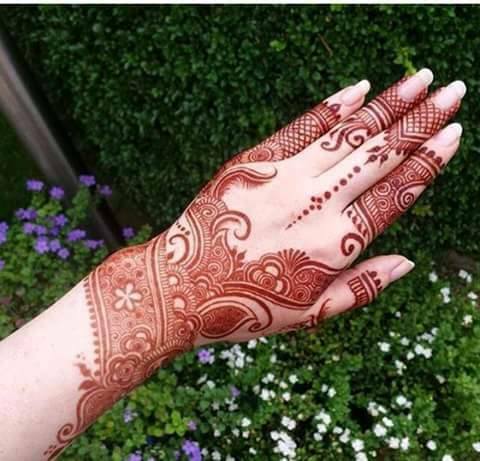 Muslims apply Mehandi on festivals like Eid-ul-Fitr and Eid-ul-Adha. Feel free to use the following designs and share your art with us on our Social Media pages. 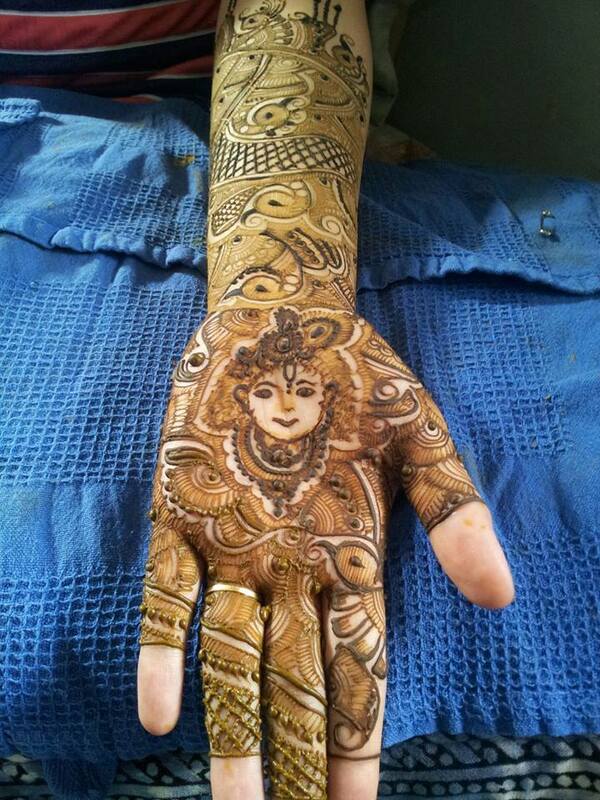 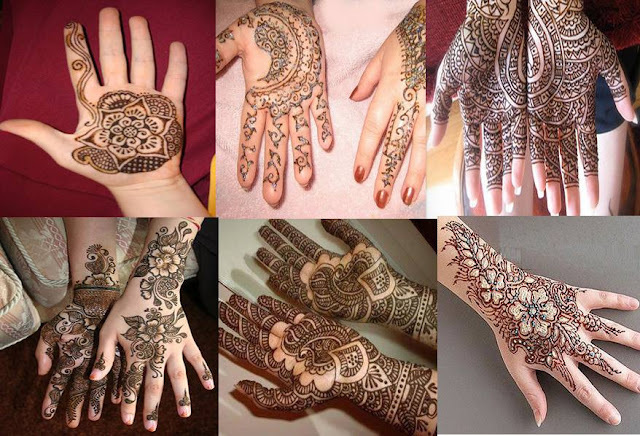 Mehandi Designs for Hands: Below are 20 Mehandi Designs for Hands which can adorned on any occassion. 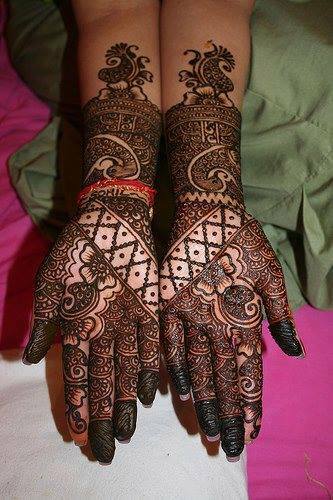 Bridal Mehandi Designs: Marriages and Weddings are very special occasions for both Bride and Groom. 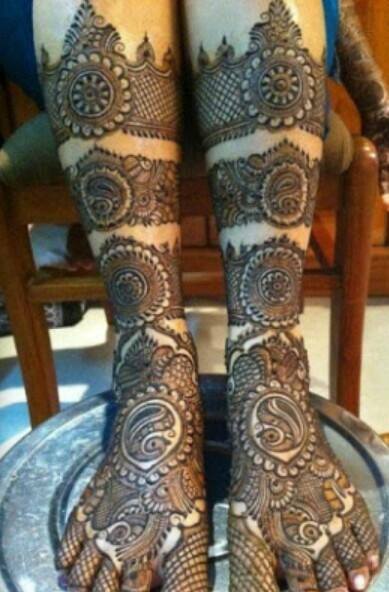 Due to the nature of the ceremony these designs are heavy and require work. 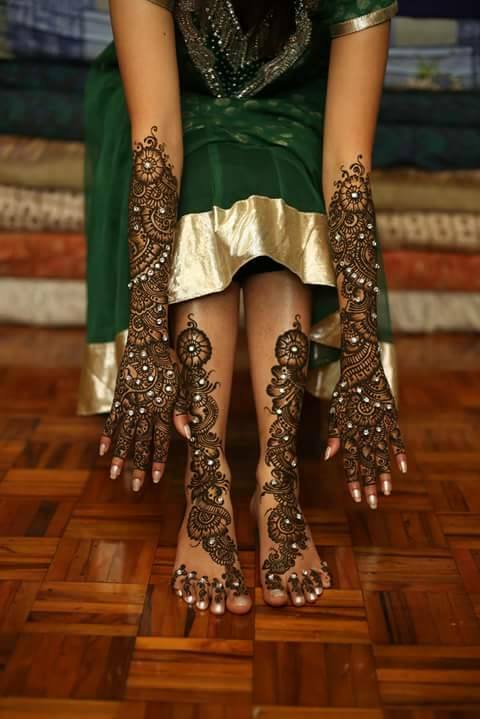 We bring to you some 10 special Bridal Designs for the occasion. 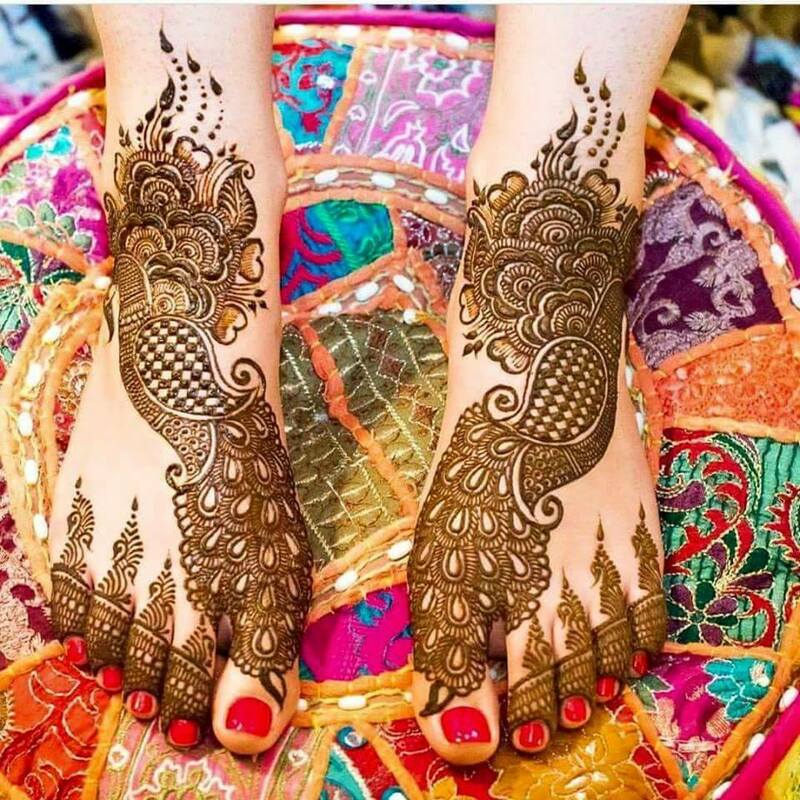 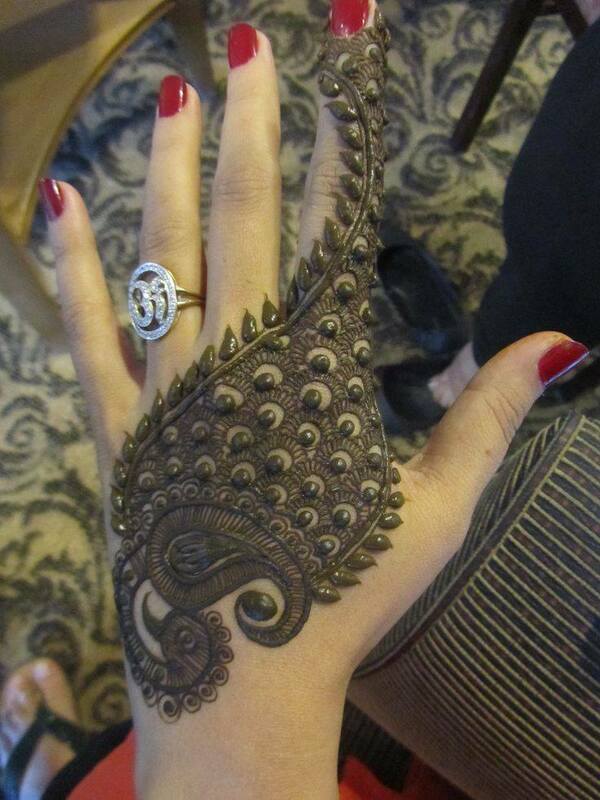 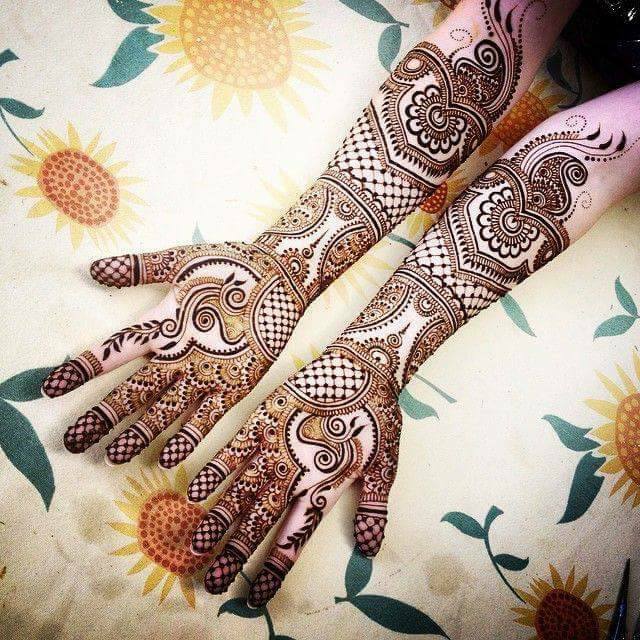 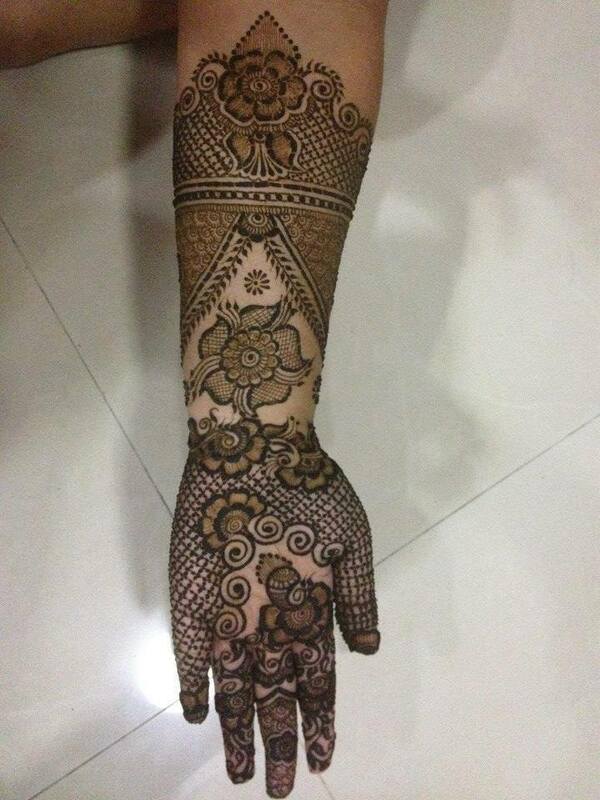 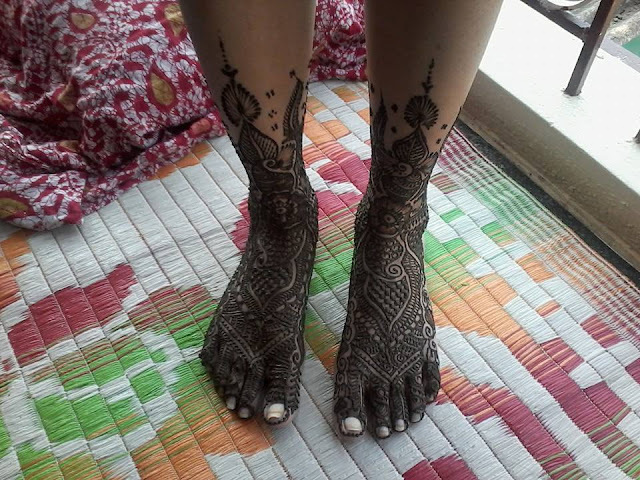 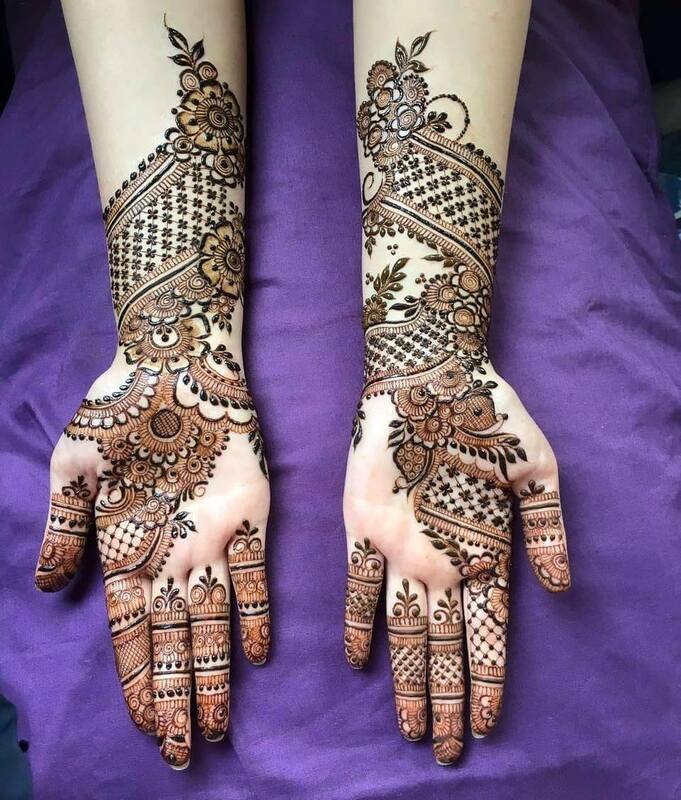 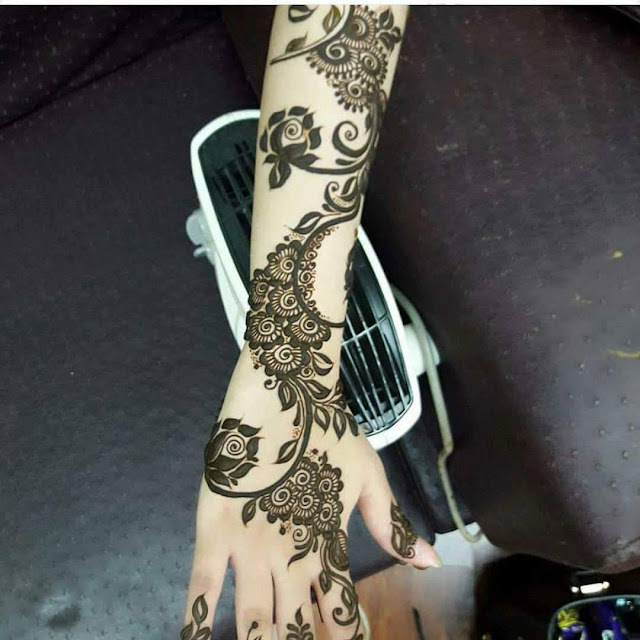 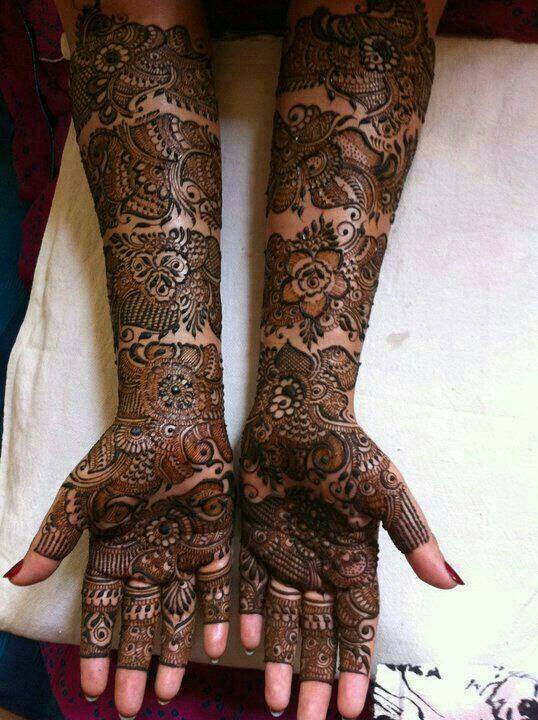 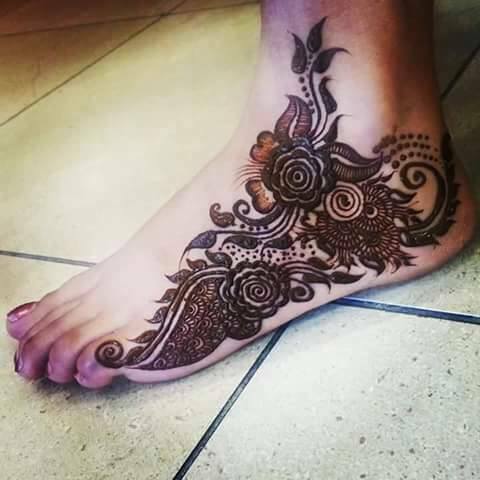 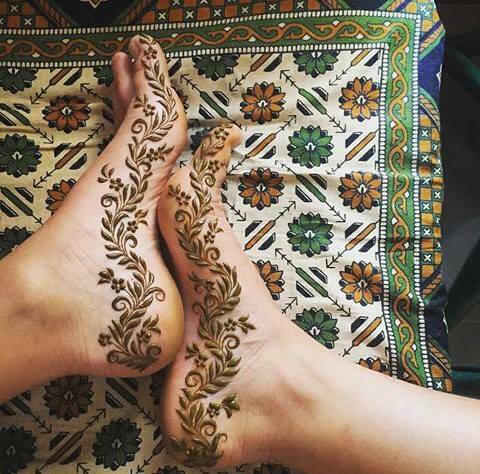 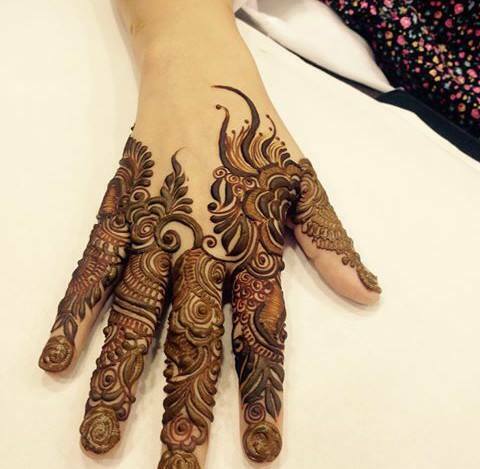 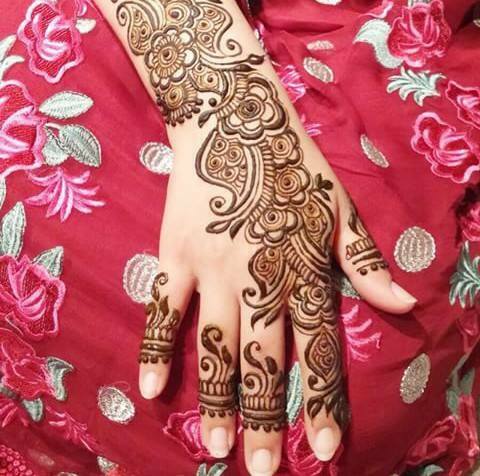 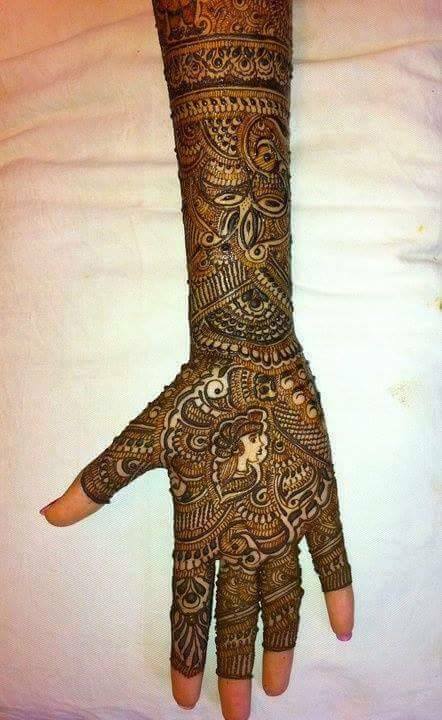 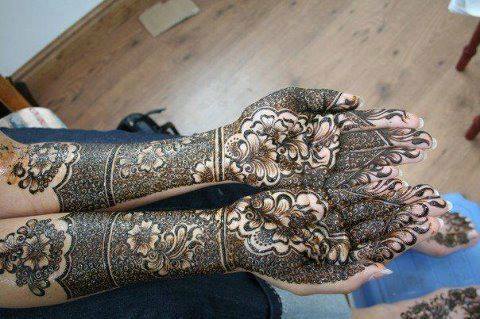 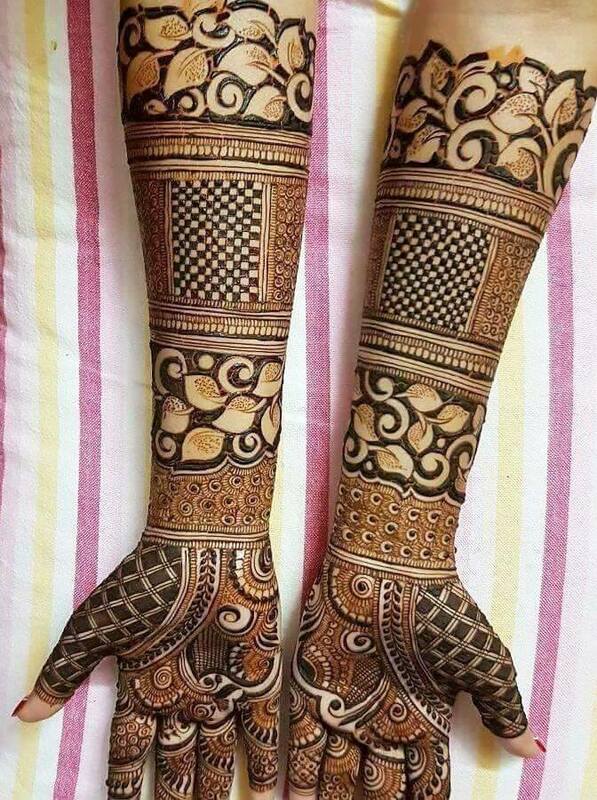 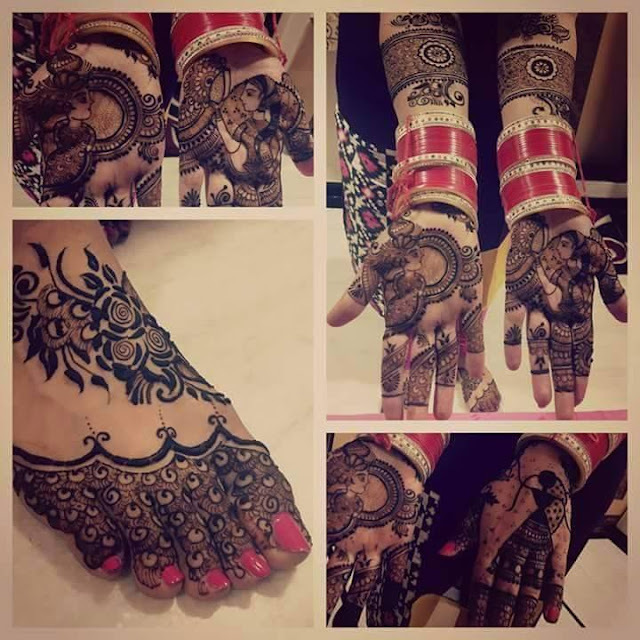 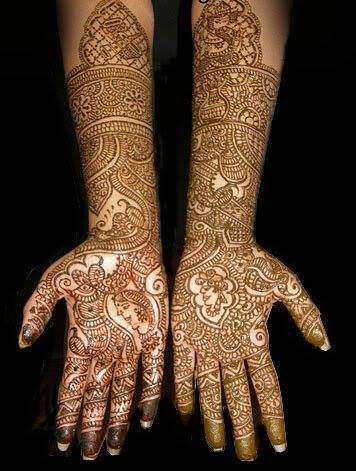 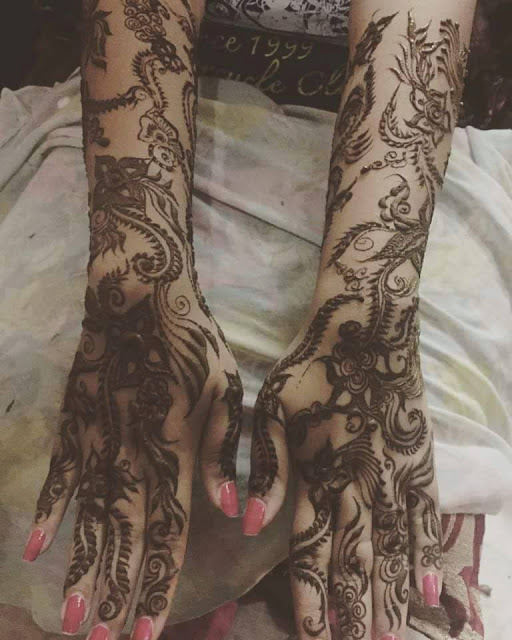 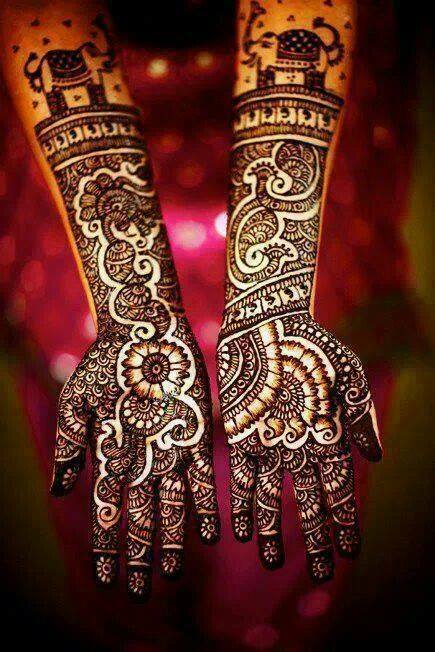 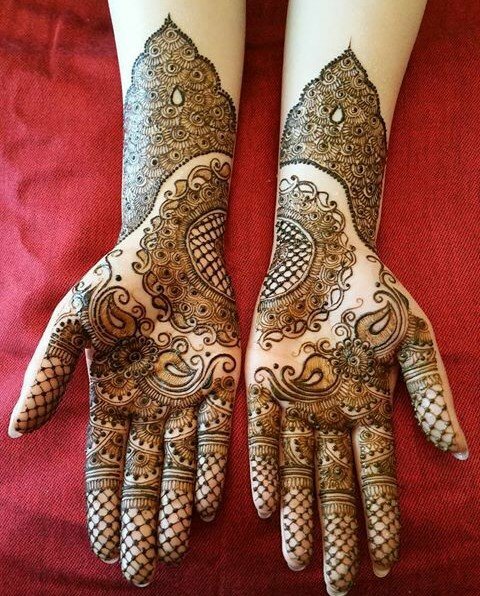 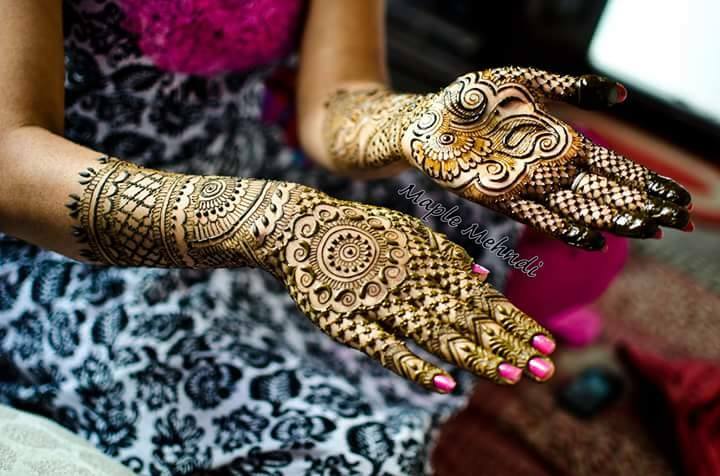 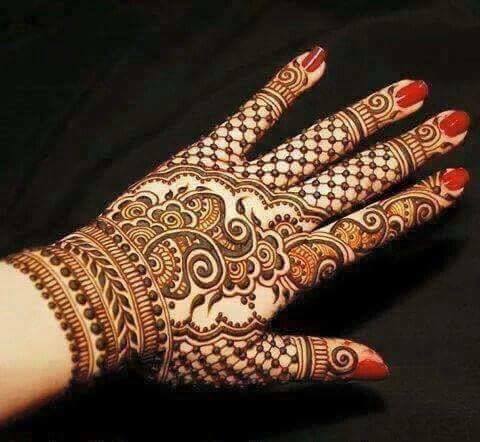 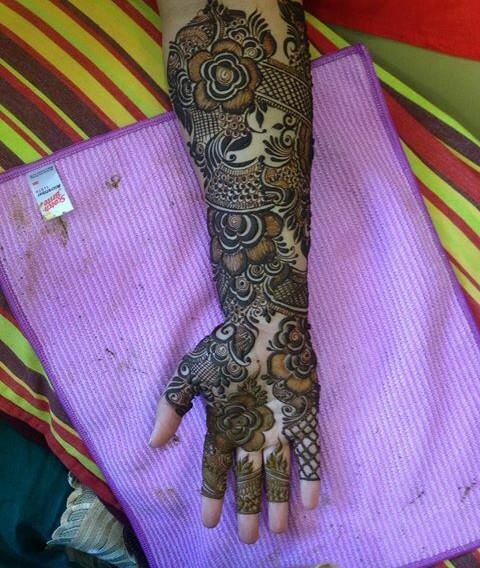 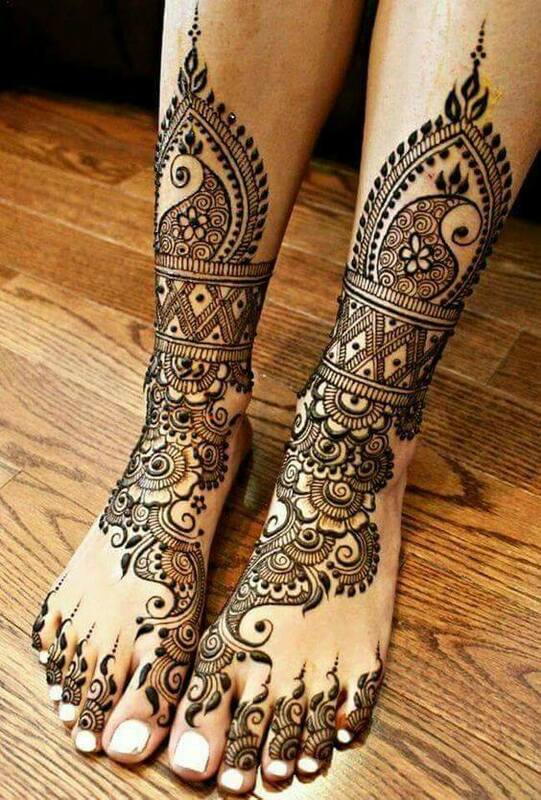 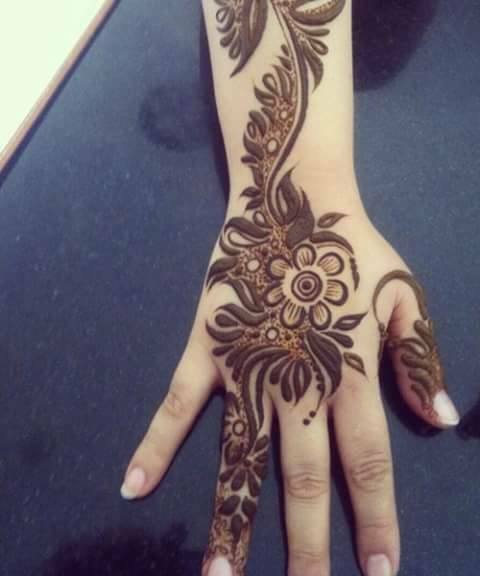 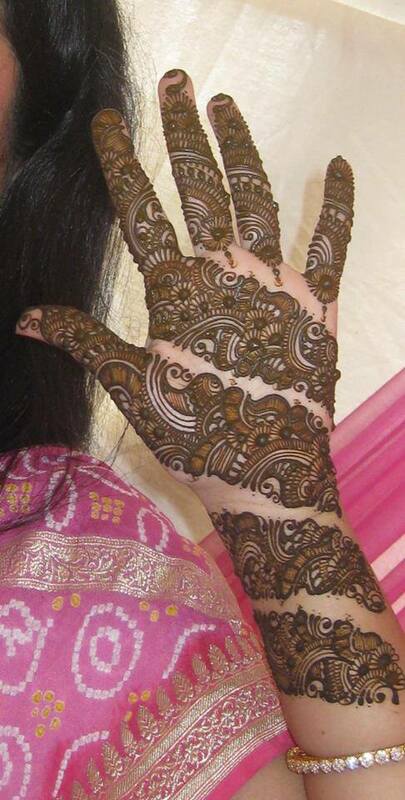 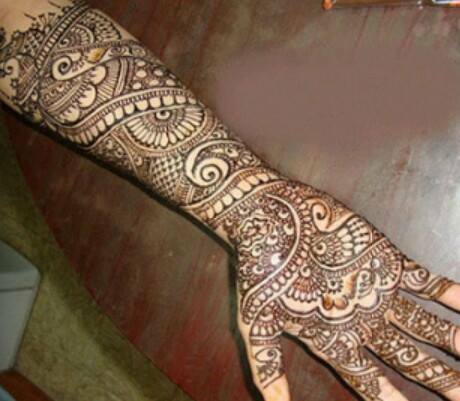 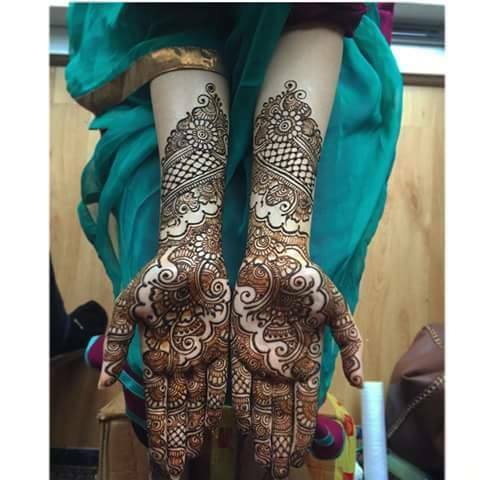 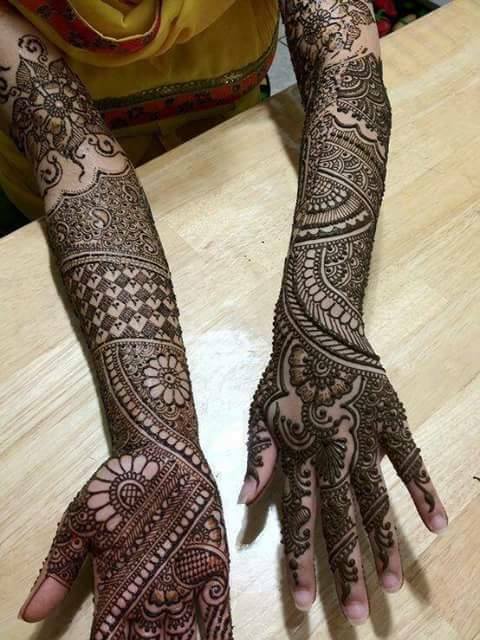 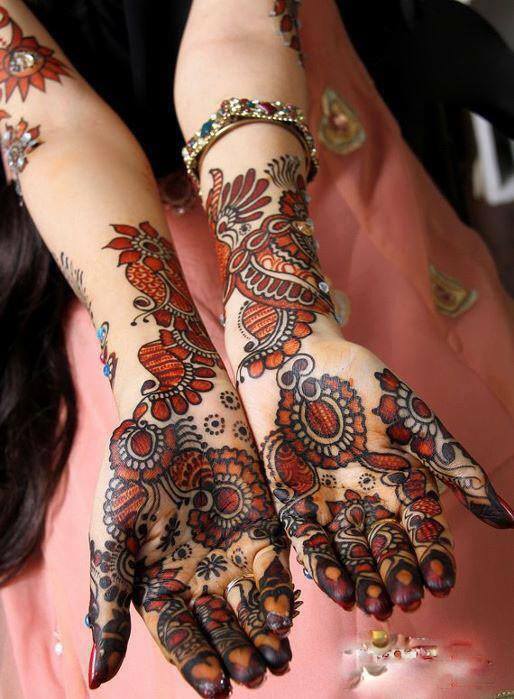 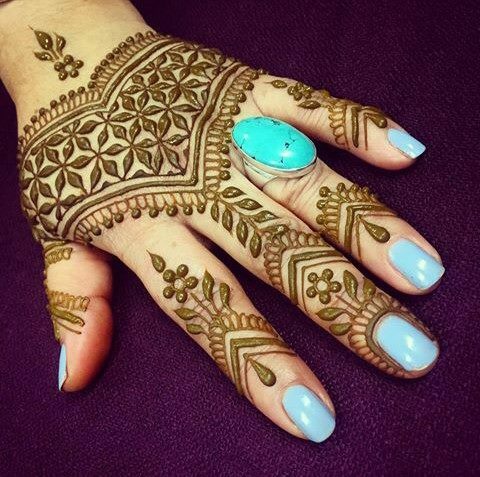 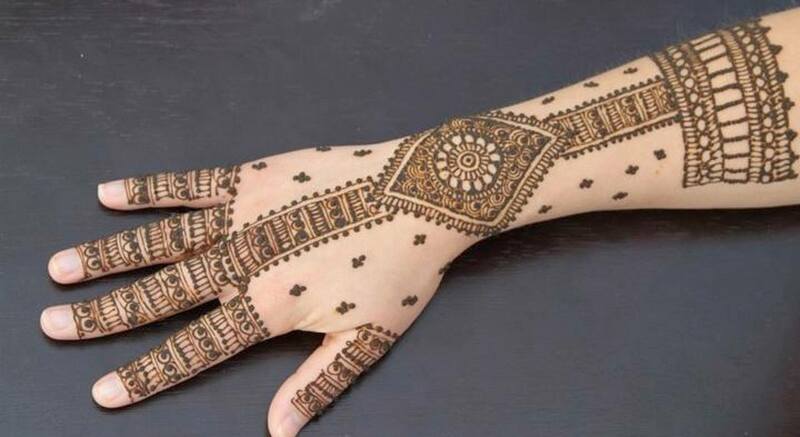 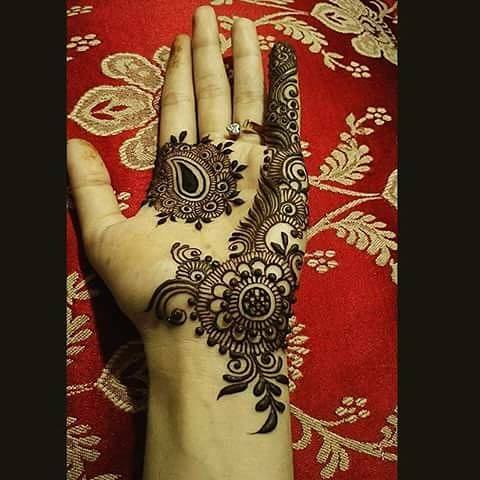 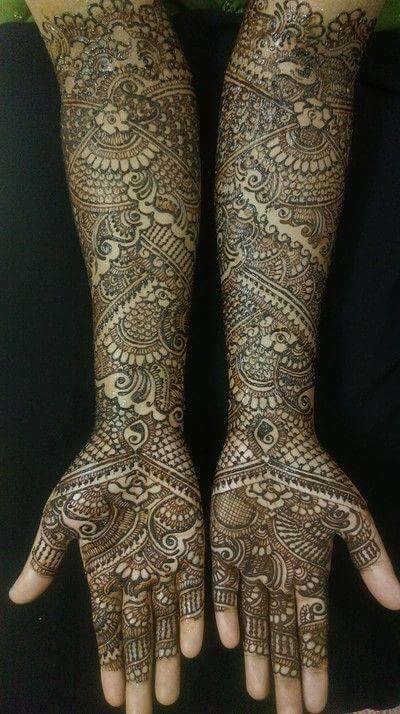 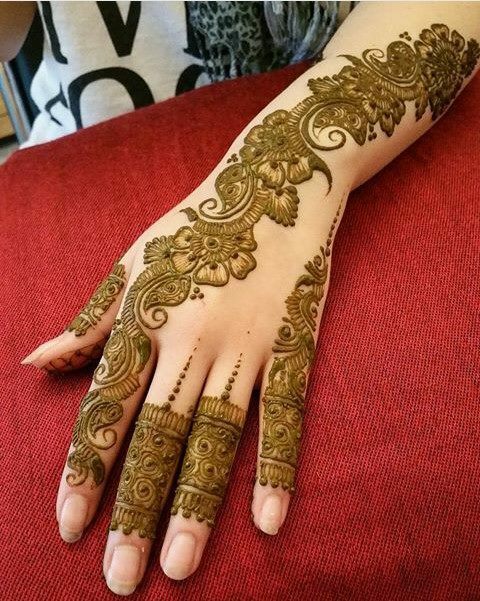 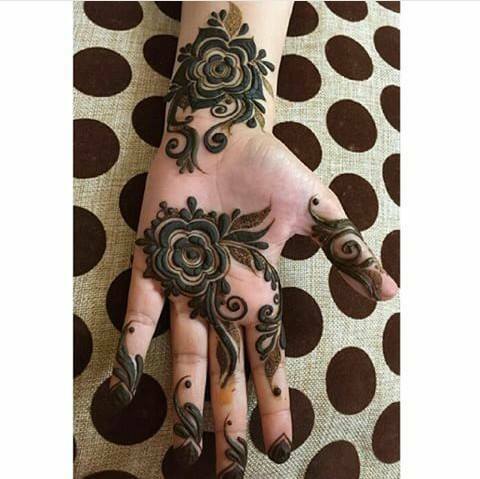 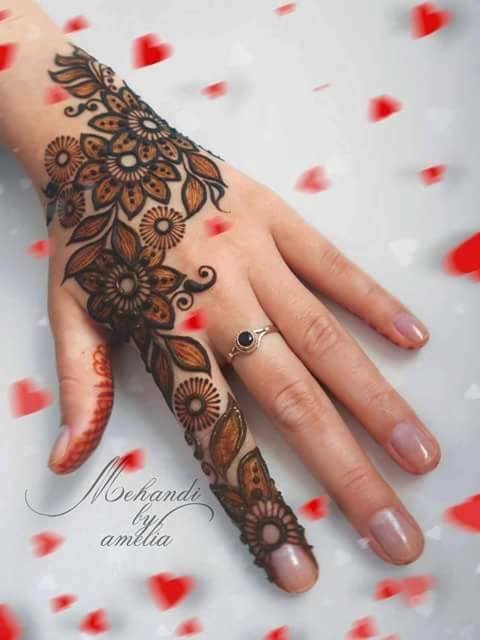 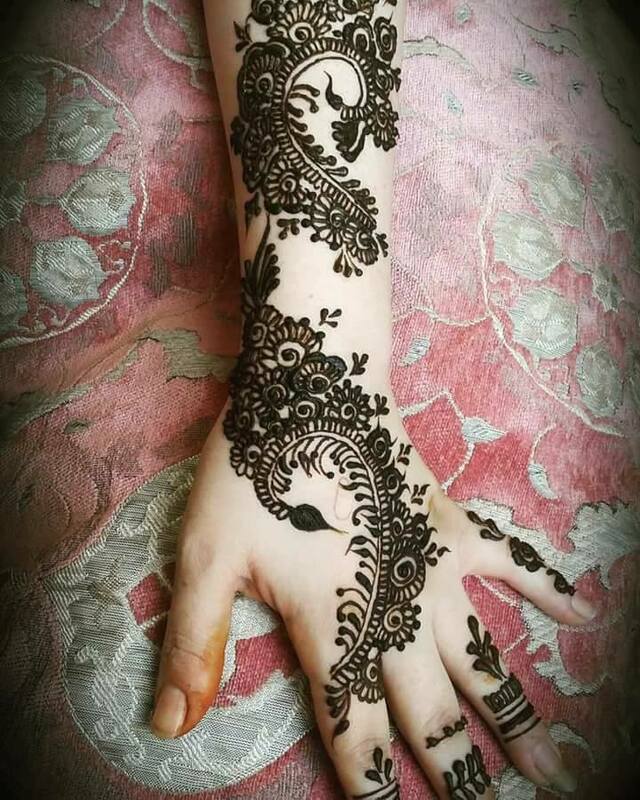 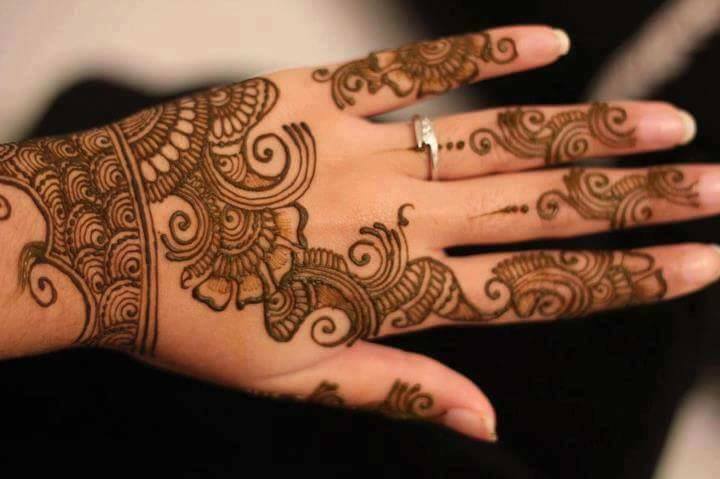 Foot Mehandi Designs: Henna designs can not only be worn on Arms and Hands but also on Foot. We bring to you 5 specially picked Mehandi Designs for Foot. Feel free to let us know how was your design. 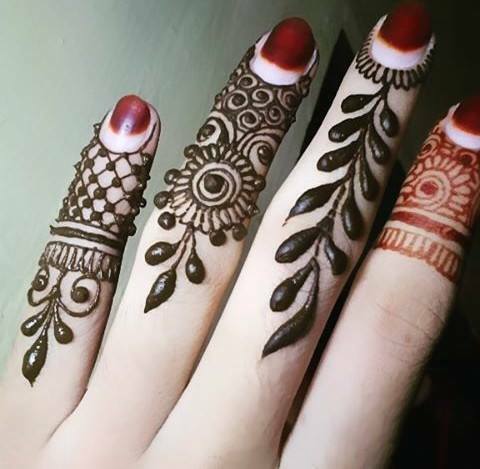 Henna Design for Fingers: Designs which just cover fingers on both hands are also in fashion nowadays and can be very handy to communicate your style to the audience. 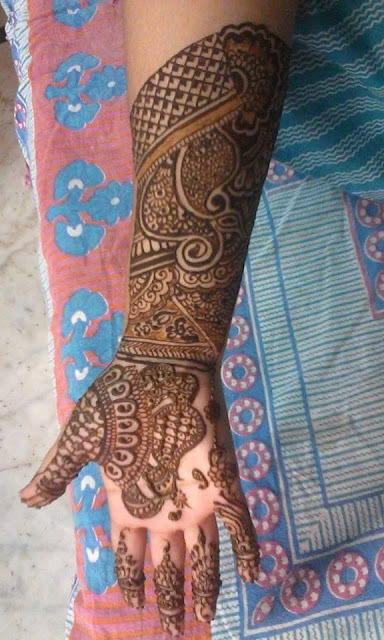 Here we bring to you 5 of them.